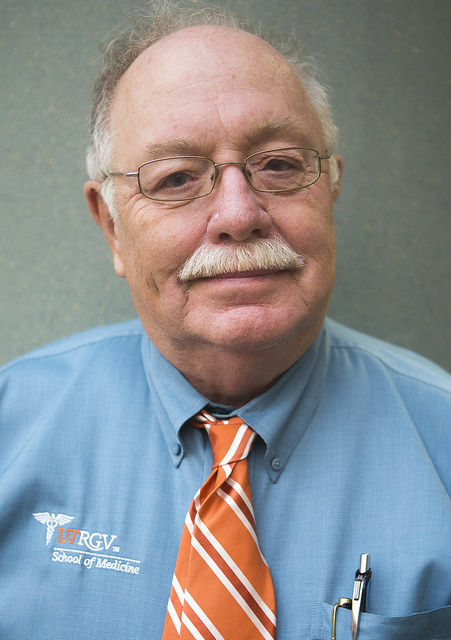 EDINBURG — Plans to open outpatient clinics as part of the University of Texas Rio Grande Valley’s School of Medicine are solidifying with the construction of an upcoming pediatrics clinic. The clinic will be focused on specialty services such as pediatric pulmonology, neurology and environmental health, services identified as lacking in the area by university officials. Some of these areas were identified during meetings with pediatricians in the area, who were able to tell Nelson and other university officials for which services they are more likely to refer patients out of the Valley. The clinic is set to be located at 4150 Crosspoint Blvd. in Edinburg. An existing building on that location was purchased by the university in May for $544,000 using Permanent University Funds, and it is currently being remodeled. The building was designed to include 27 exam rooms, a laboratory, waiting area, nurse’s stations, two private consulting rooms, prep areas, storage, and more. Officials estimate construction to be completed by September, but Nelson said they don’t know exactly when the clinic will be fully operational considering there are still key hires in the works. This year the university posted six positions specifically intended for the clinic, and started recruitment in April, he said, with a few people in the works to be secured by October. But because it’s not prime hiring season, Nelson said it might take longer to fill some of the positions. These hires will include physicians specialized in some of the key areas of need, he said. The research aspect of the clinic will also be an important component, he said, as well as the education opportunities and the chance to share resources with prominent pediatric researchers in the country. The hope is to get the clinic fully operational during the spring to begin seeing patients and offering some of the most in need services in the area, he said, but it will all depend on the hiring process. “Fortunately the clinic will be large enough that all of the people that we plan to hire will be able to do all of their clinical efforts in the clinic,” he said.